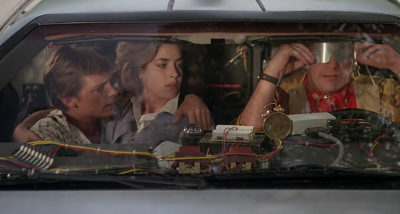 October 21st 2015 is well known as Back to the Future Day – the date Marty and the Doc travel forward to from 1985 in the blockbuster Back to the Future II – but it’s also the first day of the Showman’s Show 2015. Coincidence? We don’t think so. For our 8th year Etherlive will be manning stand 65 within the main exhibition hall to meet old friends and make new ones. We will be showing off the latest and greatest technology for those running events around the world. High Speed Satellite – Delivering high speed internet at short notice, satellite systems have continued to evolve and are now available for a range of budgets. Quick to setup and effective Etherlive have deployed over 200 systems in 2015 alone ranging from media centres to fashion launches and production teams. Robust Wi-Fi – The core of any deployment, Wi-Fi delivers the internet to those who need it reliably over large areas. Etherlive has continued to invest in the latest generation hardware capable of meeting the most demanding outdoor environments and high density requirements. Payment Systems – A continued driving force for connectivity at events is the ability to process transactions quickly and effectively. Working with partners Etherlive has validated the best systems to rely upon. People Counting – Quick and reliable systems which integrate with Etherlive CCTV or other CCTV systems to provide accurate counting for gates, pinch points or stages. Key data points form part of the Event View suite of tools which empower organisers with critical information about their events. We’ll be on stand 65 (with chocolate and coffee) – see you there! We don’t need wires where we’re going!